C3 Tester - EnviroSense, Inc. In the electronics assembly industry, surface residues from the manufacturing process can and are causing field performance problems. These residues come from typical processes such as, partially activated paste flux residues, localized brush cleaning techniques, daily water quality and cleaning variations, overspray fluxing, component or bare board cleanliness and hand soldering residues. 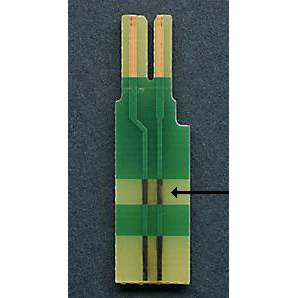 With the increased circuit sensitivity of today’s designs these residues are having a greater detrimental impact on system level performance. 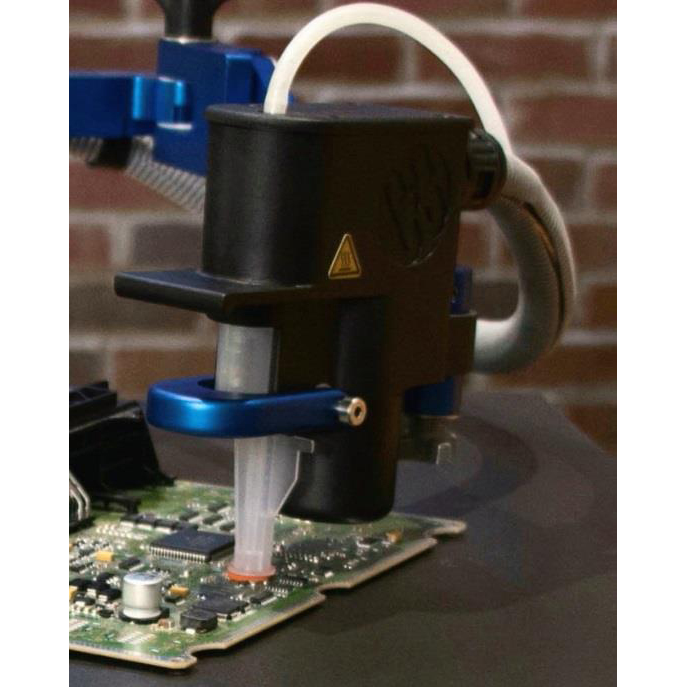 Current ROSE type cleanliness control tools have had difficulty predicting product performance, due to the fact that these systems only measure gross residues lightly removed from the entire board surface. In number of cases, isolated pockets of residues were the root cause for the field performance problems. Instead of averaging the residues over the total surface area of both sides of the boards why not choose a localized 0.5 square inch area on one side of the board to assess the residues on a specific circuit or component. Foresite has developed a unique Critical Cleanliness Control (C3) system to assess the residue extracted from a localized area. 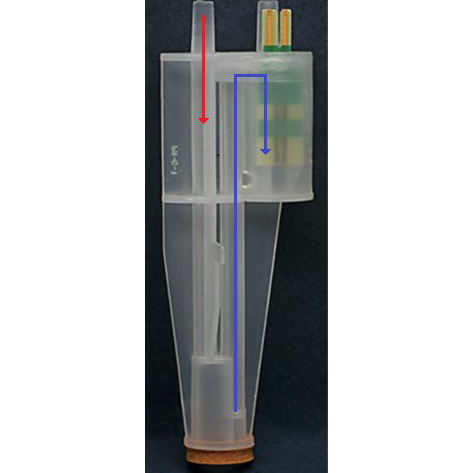 The C3 system works on two levels, first as a localized residue assessment tool and second as an extraction tool for Ion Chromatography residue analysis. 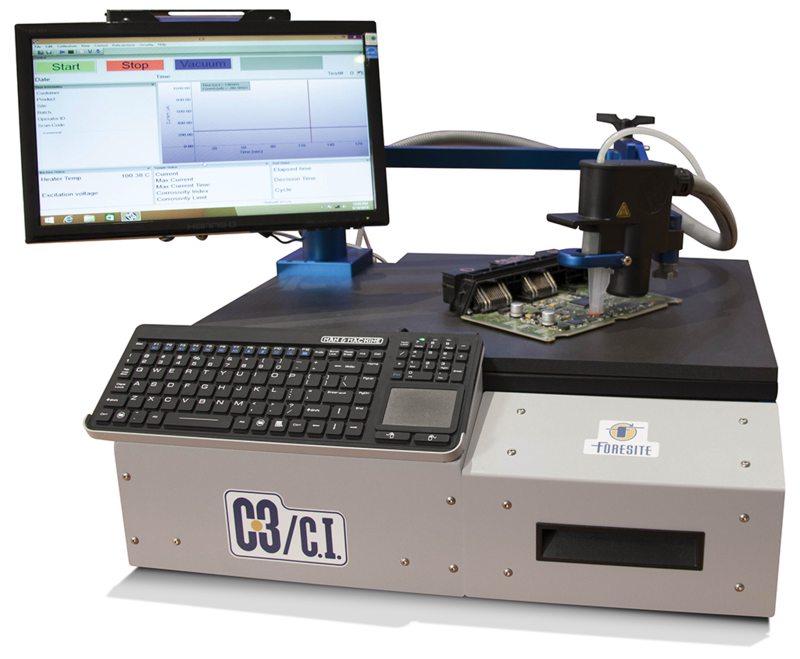 By using the C3 on the manufacturing floor, at incoming inspection for bare boards and components, after Reflow and Wave soldering, after cleaning and rework, assessments can be made to determine if corrosive or conductive residues are present from these processing steps and vendors. 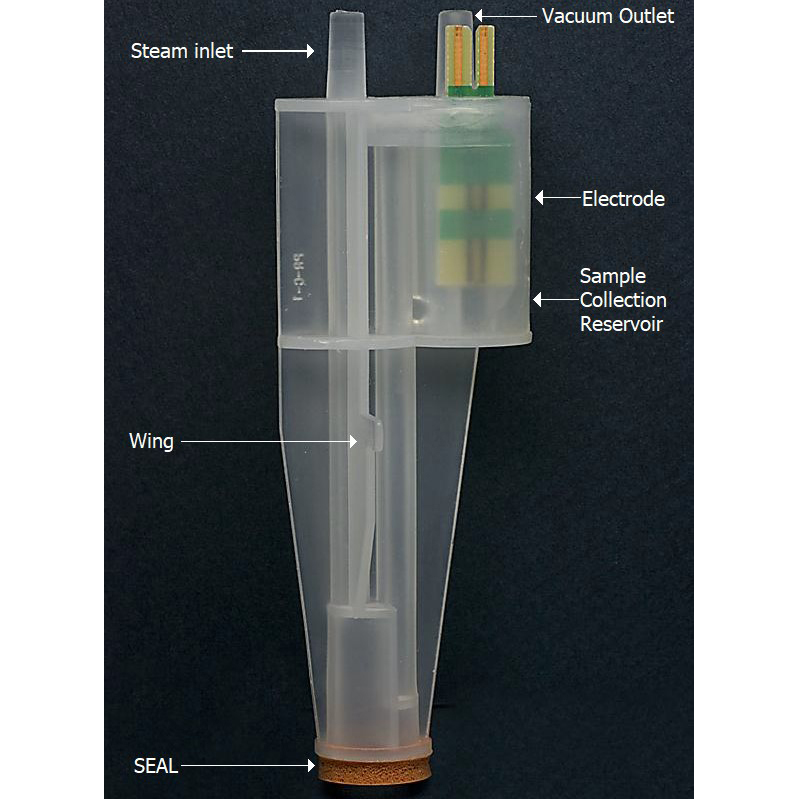 The C3 tester can assess a wide range of product sizes – areas that are most susceptible to retaining residues or are especially critical to product performance, durability and/or reliability.